When we talk about insulation, many people think of the old fibreglass pink bats. However, insulation is not just for keeping the house warm in winter and cool in summer; it can save you money, with less dependence on mechanical heating and cooling devices, and is a great sound insulator. For the most effective results, insulation is required in the ceiling, walls and under the floors. The Building Code of Australia (BCA) requires houses to have minimum R-value ratings on materials used in the construction of buildings. The R-value is basically a measure of resistance of heat flow through to the thickness of the material: the higher the R-value, the better the thermal performance. So where should it be installed and which type do we use? There are many types of insulation available on the market, from traditional fibreglass insulation to other more natural materials. Personally, I like the natural insulation materials such as hemp, sheep’s wool or even recycled insulation. Sheep’s wool is a very effective insulator. Compressed or not, the fibres within the wool form tiny air pockets, allowing the insulation to breathe. The outer layer of wool is resistant to water, while the inner layers have the ability to capture moisture in the air and absorb it without the wool feeling damp. When wool becomes wet, it generates heat, which contributes to preventing condensation building up within the cavity. Wool insulation allows for a more consistent temperature. It is also more fire-resistant than other types of insulation. Hemp insulation acts similarly to sheep’s wool, with the ability to absorb and distribute moisture, resulting in optimal moisture regulation. As there is no protein in hemp fibre, no chemical treatment is required to repel insects. It is therefore a great natural insulation product for homes. Recycled insulation is manufactured using recycled cotton clothing. It is a renewable and natural resource and because it’s 100 per cent recycled, its green credentials are of the highest calibre compared to other insulation. Cotton also has high levels of moisture absorption and can easily be treated with boric acid to act as a flame retardant. Importantly, it contains no formaldehyde, which is commonly used in traditional fibreglass batts. Taking into account the volume of glass in any structure, it is important to consider the types of glazing available for each area of the house as this is an important energy-efficiency element. Most people don’t realise how important it is to install quality glazing. 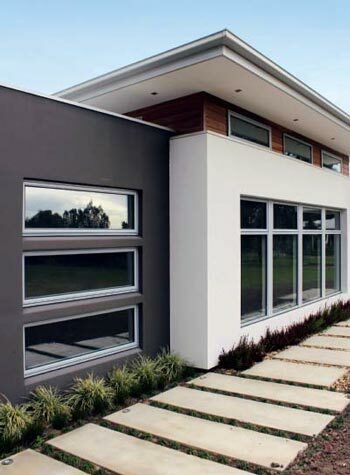 In fact, around 30 to 40 per cent of the external wall surface of an average home is glass, and regardless of how well the remainder of the house is insulated, all the benefits could be lost through the glass. Up to 40 per cent of heating energy can be lost, while 87 per cent can be absorbed via heat gain through windows, hence the importance of performance glazing. There are many types of glazing available on the market, and with performance glazing now being specified more commonly, the increase in production volumes has led to lower manufacturing costs and, in turn, more affordability to the consumer and householder. Double-glazing or IGU (insulated glass units) — essentially two pieces of glass separated with an air gap between. This air gap is generally filled with argon gas, which increases the insulation properties of the window. Low-e (low-emissivity glass) — a thin coating over the inside of the glass that reflects thermal radiation rather than absorbing it, acting as an insulator. Although you will mostly find these types ofwindows in Europe and the US, they are now seen more regularly in warmer zones as well. When you consider insulation for your house, the same principle applies as putting on sunscreen on a hot day or a jumper when it’s cold. With this in mind, it’s important to consider the externals of your home. There are some great cladding products available on the market, such as Unitex Uni-Base Board. This Australian-manufactured product is an insulating panel that has been designed for use as external cladding. Secured direct to lightweight framing or adhered to masonry walls, it can then be coated over with an acrylic textured finish. This product is faster and easier to install than conventional materials on the market. The product acts as an insulator to stop the heat and cold on the outer skin of the structure rather than trying to trap the heat and cold within the framework and cavity. I have personally used the product with great success. Other cost-effective solutions for instant results include incorporating shading systems. 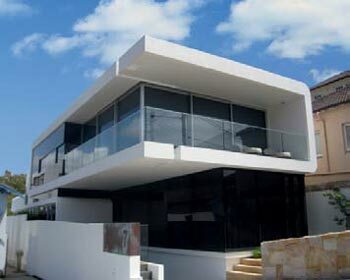 Both internal and external shading helps gain the desired internal heating level of the house. External shading can be achieved by extending the roof eaves, pergolas, window blinds and window shutters. Deciduous plants also offer natural shading. They have no leaves in winter, allowing the winter sun to filter through into the house, while the foliage provides a natural barrier against the summer heat. It is important when shading that you don’t block out the winter sun. In summer the angle of the sun is higher, while in winter it is lower. A louvred pergola system allows the lower-angled sunlight to pass through the gaps between the louvres in winter. Hopefully you’ll now have a better understanding about the important topic of insulation when you next need to make an informed choice.